Who knew J-Lo and Leo were such good pals? James Corden’s Carpool Karaoke has become something of a celebrity must-do this year, attracting the sort of A-listers most talk show hosts would be lucky to get a quick five-minute chat with. 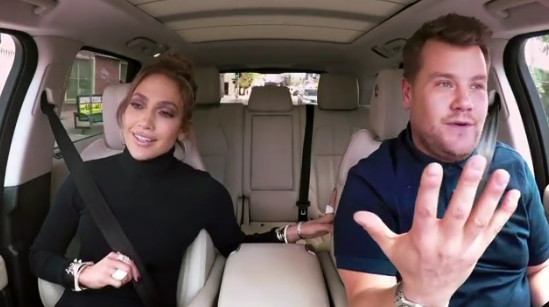 Stars ranging from Mariah Carey and Justin Bieber to Chris Martin have all climbed into a 4X4 with Corden for an interview and sing-along. After some pretty excellent renditions of noughties-tastic Jennifer Lopez hits – remember the heady heights of ‘My Love Don’t Cost A Thing’? 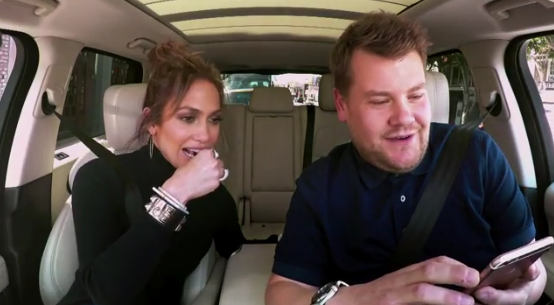 – James pinched J-Lo’s phone to send a flirty text to a random person in her contacts. But being J-Lo, the ‘random person’ in her contacts happened to be none other than Leonardo DiCaprio, which definitely raises the ‘text roulette’ bar for the rest of us. A little while later, Lopez’s phone pinged with a reply from Leo. ‘You mean tonight boo boo, club-wise?’ he replied.